: when i went to graceland..i came back as a HUGE ELVIS PRESLEY FREAK!!! "My Message to Elvis": that i love him for who he is..and why does he wear so much jewelry...lol..
: i was not born..but my mom was sitting in the floor wondering what had happened because she kept hearing elvis,elvis, and she saw my grandmother crying..
: because he played a big role in music..he was a legend and a idol to many..no matter if they were young or old..he effected people with his music..it had meaning to it..
:: i wrote a poem...but i have not got to write a letter before..
: i have loved elvis since i was just a little baby..which im 14 now..i still love him!! 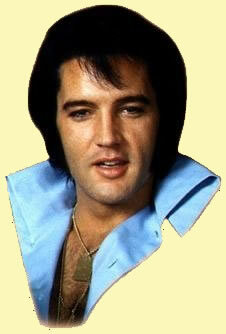 : Excellent Do you have any suggestions on how we can improve this site for Elvis's fans? : it is already a great site.. Thank you Tori, for your comments and sharing your feelings with us. Its fantastic hearing from younger fans. Elvis has had such an impact on the world, leaving us with an eternal glow for a truly loved man. His personality was warm and sincere, his music very deep and loving. Under that crown he wore, was a man whose nature will always be remembered and respected for all he gave. Visiting Graceland would be a memory to treasures forever. I hope to visit his home one day, as I live in Australia it may take longer than I hope. Thank you for sharing your valued experience Tori.